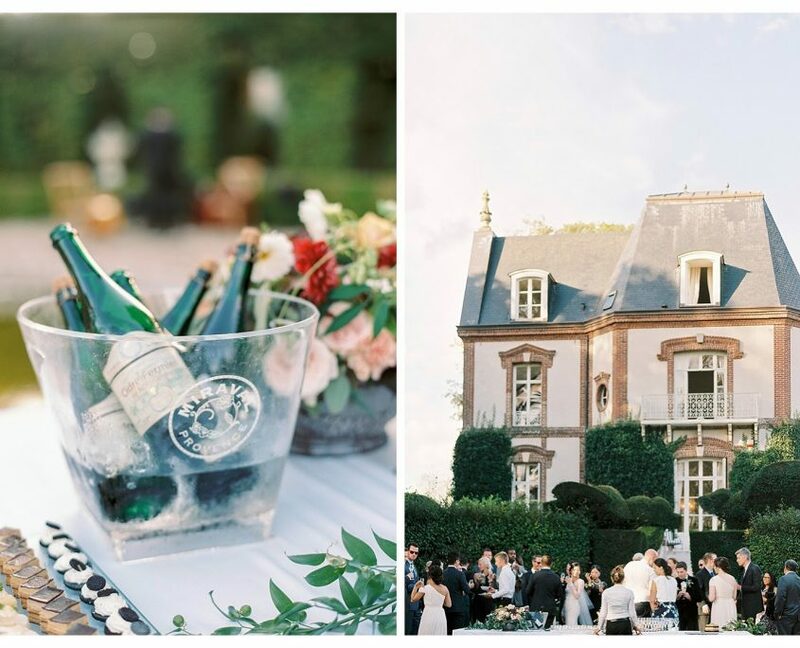 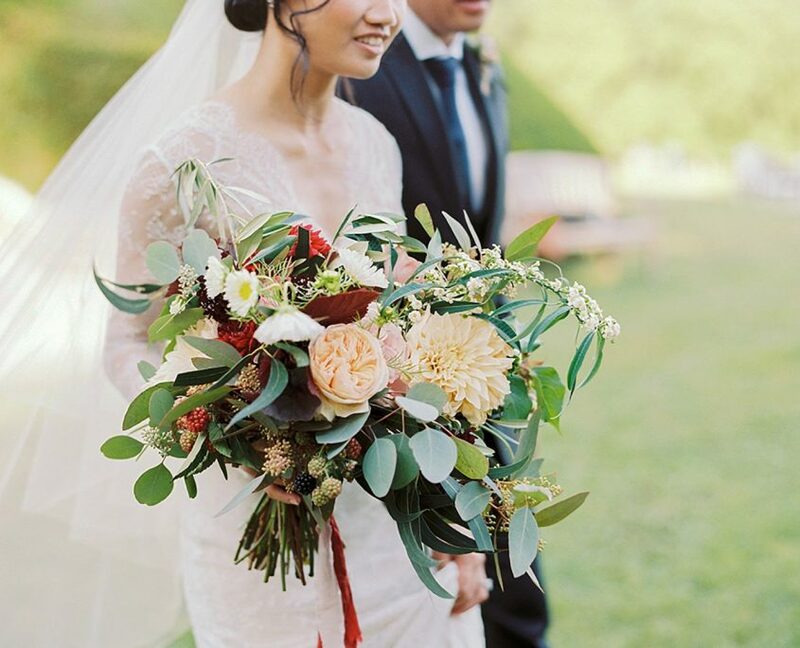 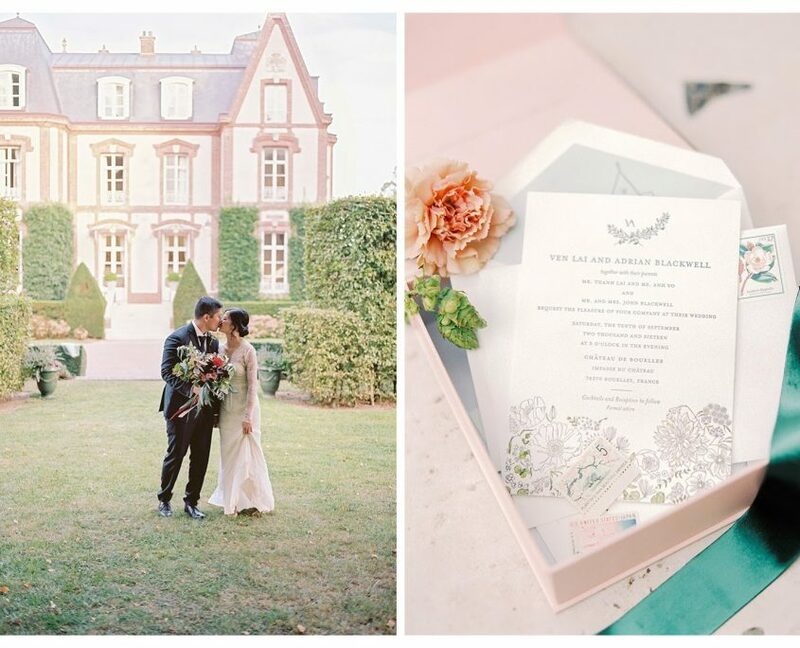 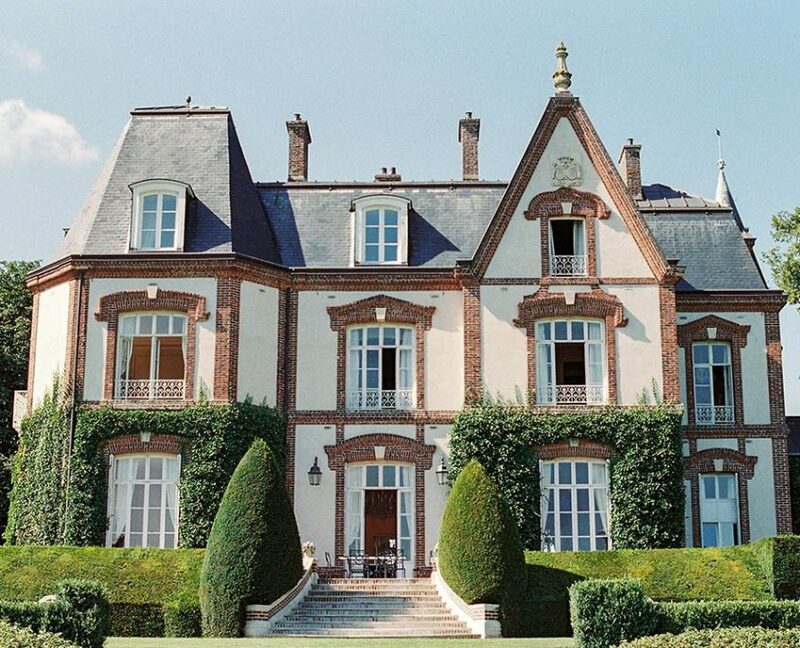 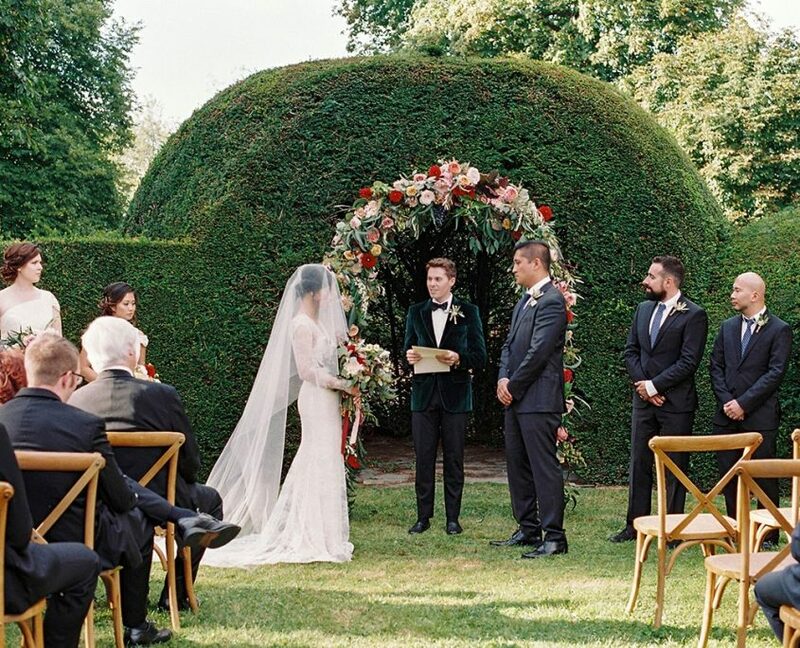 Ven and Adrian celebrated their marriage with a weekend of wedding festivities in the Normandy countryside. 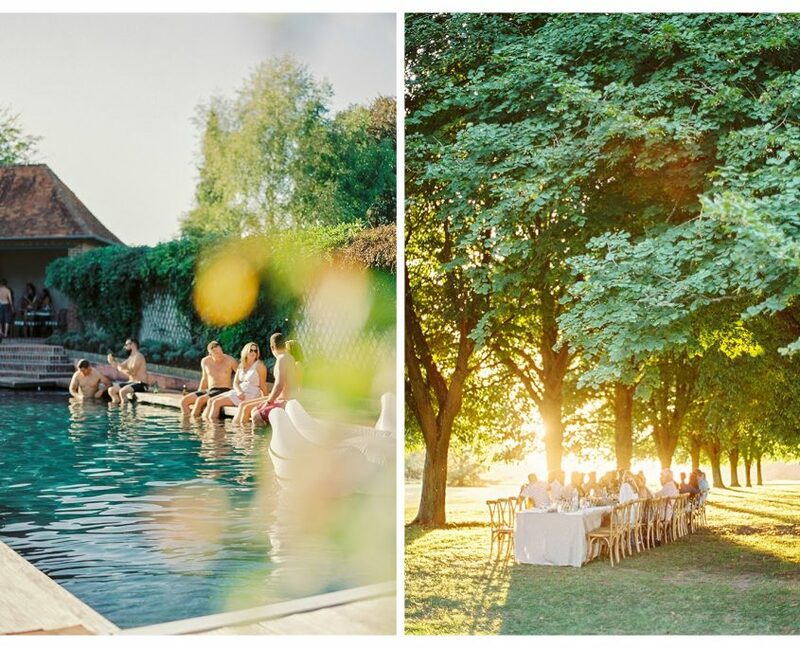 Guests enjoyed a relaxed afternoon by the pool followed by a rustic hog roast welcome dinner under the tree canopy. 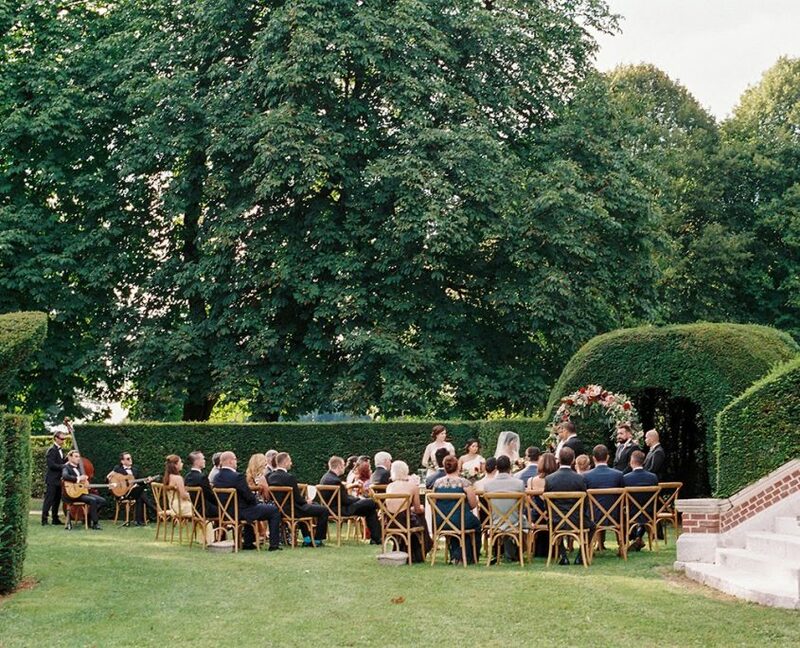 On the wedding day the ceremony was held in a charming corner of the gardens followed by a cocktail hour with local delicacies including oysters and local cider. 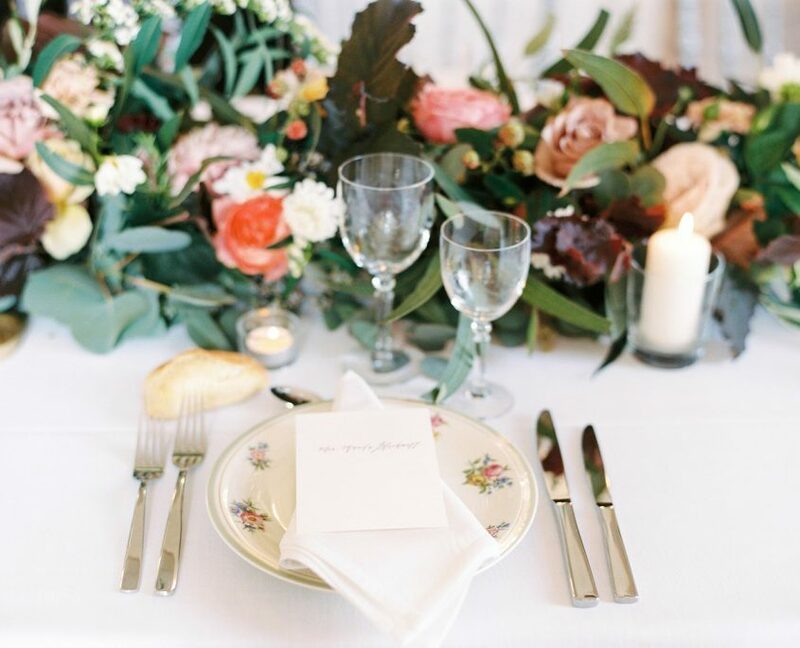 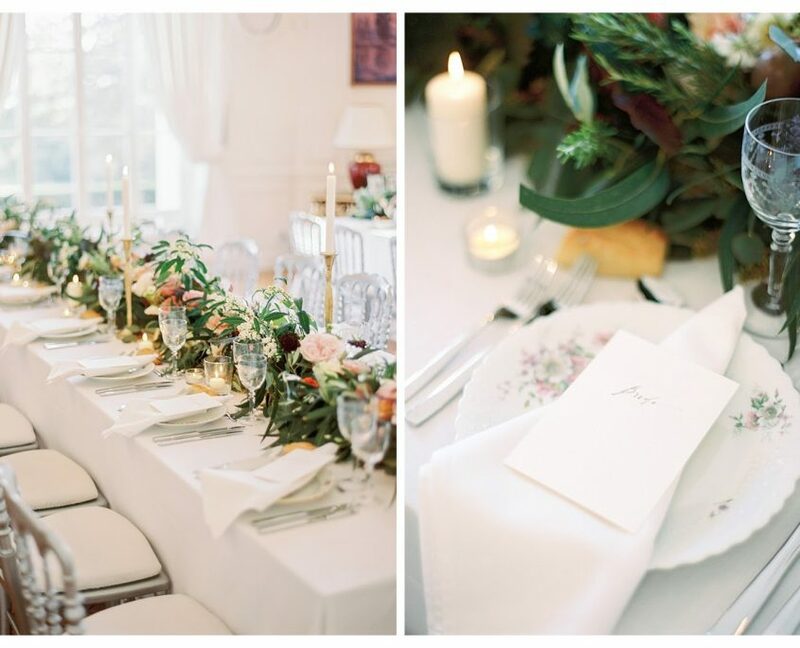 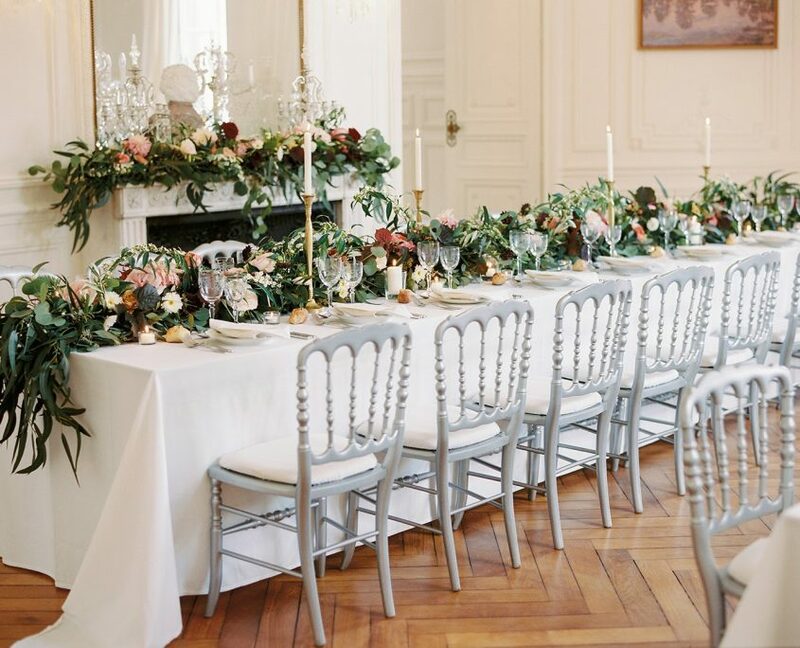 The elegant dinner was held inside the grand salon of the manor, with table runners of greenery and vintage table settings.